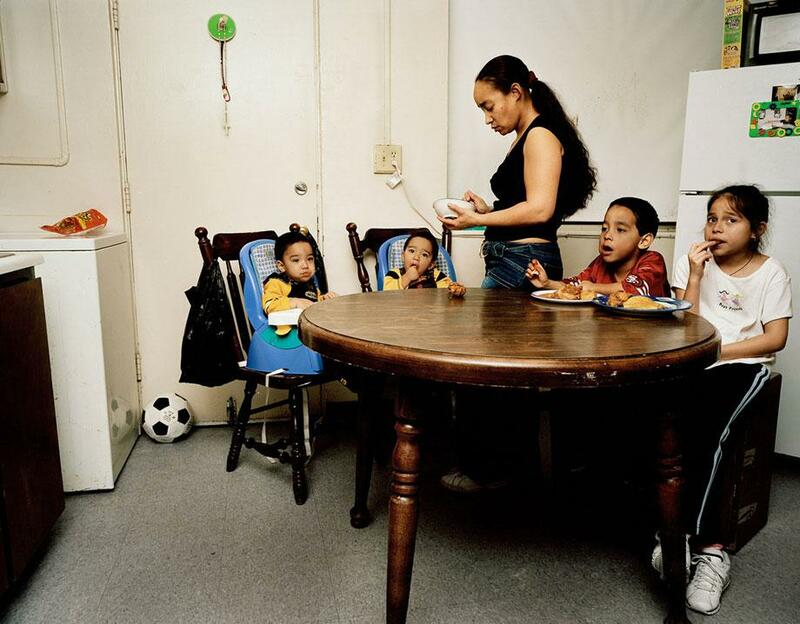 Douglas Adesko: “Family Meal” documents families during mealtime (PHOTOS). 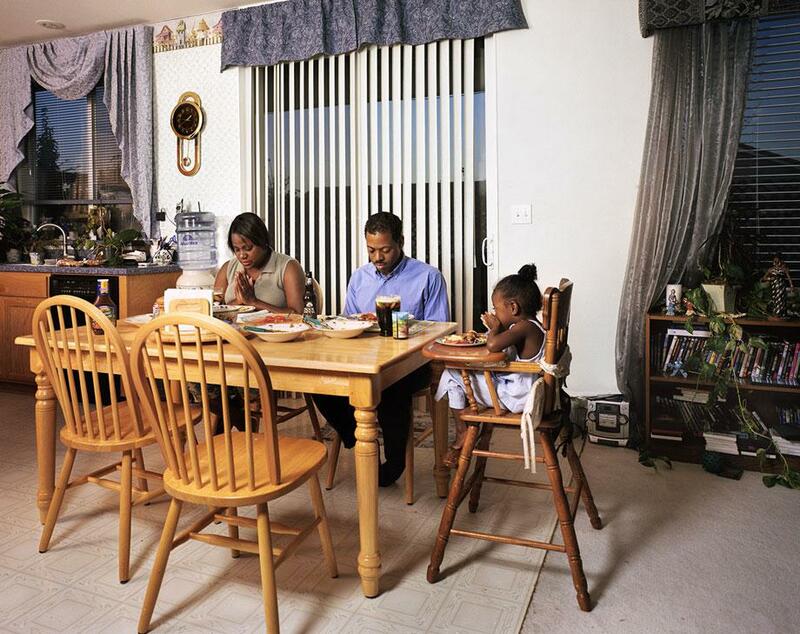 Do families still find the time to sit down and eat a meal together? 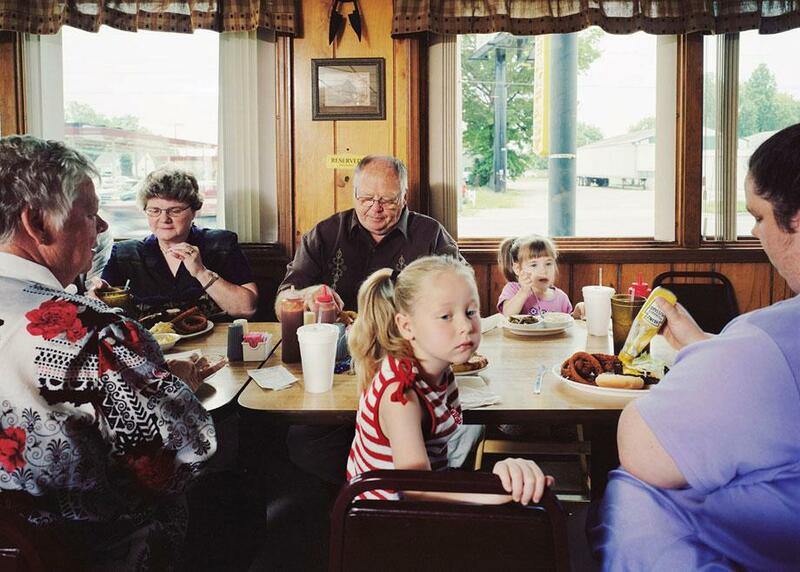 For the past decade, photographer Douglas Adesko has taken advantage of downtime during his assignment work to document the evolution of the family meal. 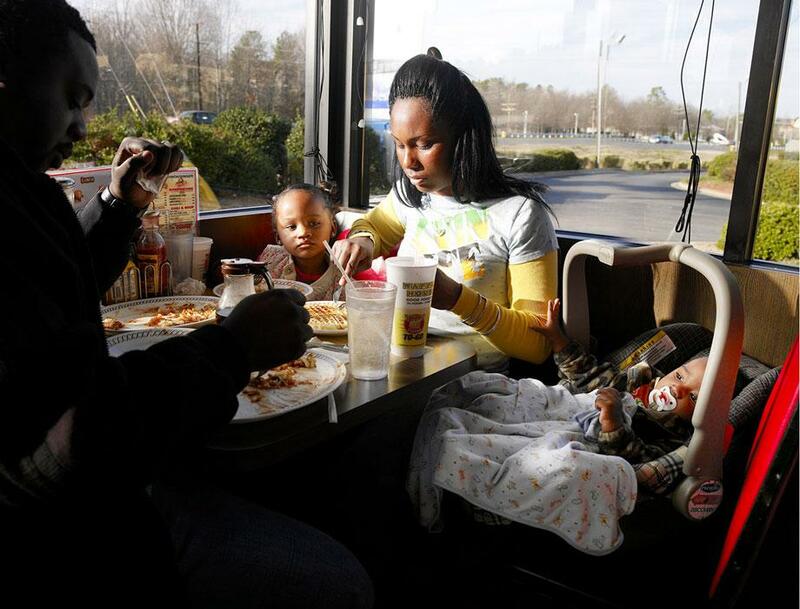 Finding the connections has taken Adesko to both homes and restaurants where he spends only one meal with each family to get the shot. Adesko initially began the project shooting with an 8-by-10 camera, which he described as “a bit of a challenge” and then a few years ago began working with a medium-format digital camera that allowed him to create rich images with more spontaneity. Being a fly on the wall, however, isn’t the ultimate goal for Adesko. He said he sometimes asks families to eat in a different venue for logistical reasons and said producing an organic image isn’t always possible. “It doesn’t always work. I shoot more families than I actually show. It’s a difficult thing to photograph because it goes by fast and there are cramped spaces and a lot of variables,” he said. 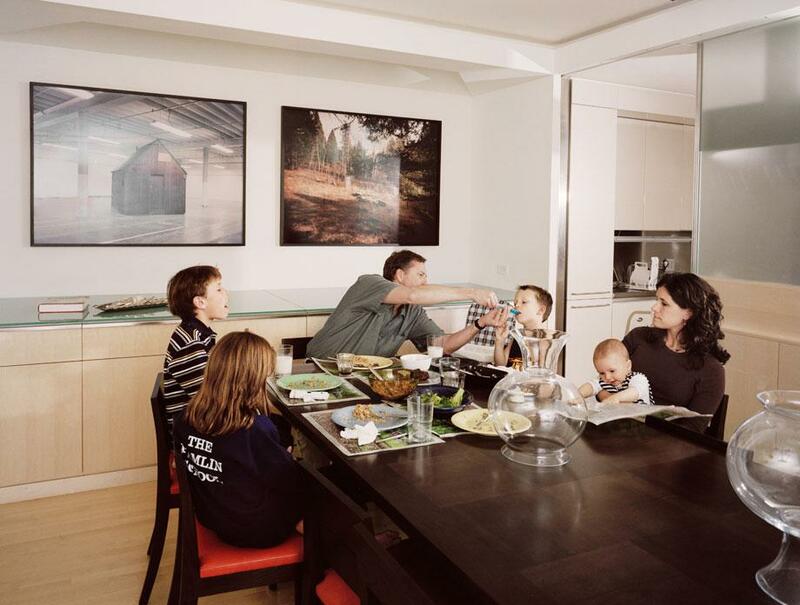 After shooting families for a few years, Adesko took a break from the project but was inspired to shoot again when he started incorporating audio into the shoots, which he said adds another element to the project. “It’s [audio] kind of a similar medium in a way, and the combination is really great and puts a lot more information behind the picture but still creates enough mystery to allow you to make your own story up about it,” Adesko said. 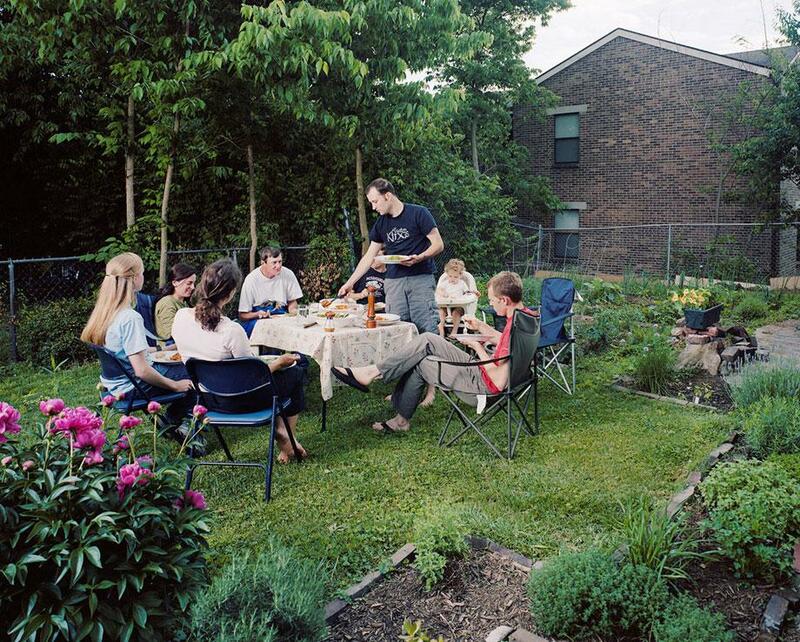 To listen to some of Adesko’s audio projects, including the “Family Meal” series, visit Adesko’s photo and sound space. Adesko continues to work on the project, saying he’s “still not bored with it” but tries to work on the series only when he’s away from his own family to ensure he can still spend mealtimes with them. 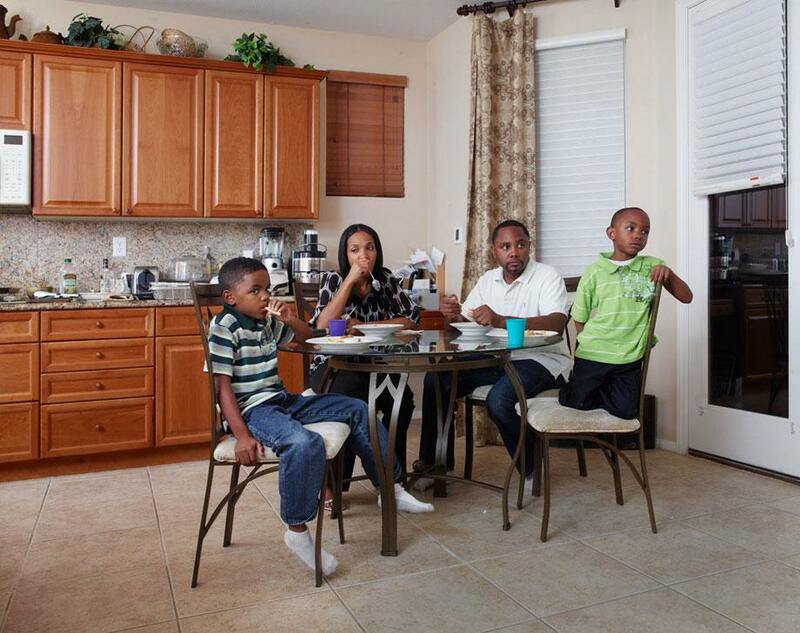 “I have a family, so when I’m home I try to spend time at home,” he said.